It’s that time of year when we begin to think about holiday gifts. For younger friends and family members, technology gifts and gadgets often come to mind- but what about for older loved ones? Well, there are products now on the market that employ cutting edge technology while providing practical help for activities of daily living. 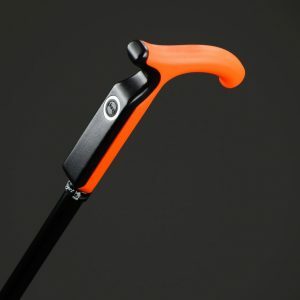 For example, consider the following: The Smartcane, a high quality cane from the century-old French cane maker Maison Fayet that has sophisticated technology and sensors hidden in its handle so that it can send out alerts if something is amiss. You can read more about this walking aide Here. Or, for those with low vision or who are legally blind, consider eSight glasses– these very high tech- and very expensive- glasses allow people with limited vision, including those who suffer from macular degeneration or diabetic retinopathy, to gain enhanced hands-free sight and mobility- so that users can walk in new places, travel or just do household chores or hobbies. With a more medical focus in mind, consider the Kardia Mobile from AliveCor, a smartphone device that allows anyone to take an accurate EKG, and detect potentially dangerous atrial fibrillation, from the privacy of your own home- and phone. While this requires a modest monthly charge, and coordination with your cardiologist, it may save you unnecessary travel to the doctor and unnecessary worry about your health. Finally, if high-tech presents are not your thing, how about a pair of furry slippers with wine goblets on them? Find these, and a host of other inexpensive suggestions, in this recent post from My Itchy Travel Feet.